Clinic services are open to all STC students ages 18 and older. Free services are available for students who qualify for funding programs through Access Esperanza Clinics. Medicaid, private insurance, and private pay are also accepted. Rapid HIV testing, with results in minutes. 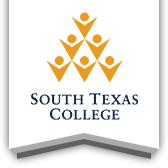 To qualify for a funding program, a STC student must be a Texas resident, low income, and age 18-64. The clinic assists with program applications, and if students are eligible, they may apply and receive services the same day. Proof of income such as pay stubs or a letter from an employer. Proof of current enrollment in SNAP, WIC, TANF, or Children’s Medicaid are also accepted as proof of income. If child support is received, bring documentation showing the amount. If a U.S. citizen, they should bring a birth certificate and Social Security cards for themselves, their spouse, and their children. U.S. citizenship is not required for all funding programs. Access Esperanza Clinics is a 501(c)(3) non-profit organization which provides family planning and preventive health care services throughout Hidalgo County. Program funding comes from the federal Title X family planning program, the Texas Health and Human Services Commission, the Texas Department of State Health Services, and private donations. To learn more about Access Esperanza Clinics, visit www.AccessClinics.org. Open every Tuesday from 8:30 a.m. - 4:00 p.m.